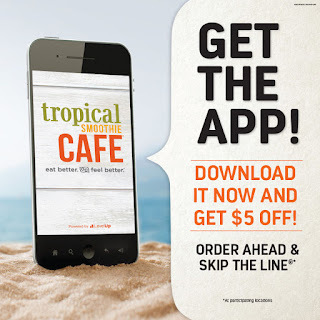 Missys Product Reviews : Tropical Smoothie Cafe Get $5.00 Off with App! I am contacting you on behalf of Tropical Smoothie Cafe. I came across your blog and I’m interested in connecting with you because it appears that you feature savings, coupons, and freebie deals. I wanted to let you know about the recent launch of our latest app which gives app users amazing deals and discounts. We would love to celebrate the launch with you by sending you a gift card you could enjoy for yourself in exchange for a post regarding our newest app release. The automatic cash-back earnings which build with each purchase! Guests earn $5 for every $55 they spend in stores or via the app. Also, new users can receive an instant $5 reward upon downloading and additional $4 reward for recommending to the app to new users who also install the app. The Energized Level adds an additional reward of a free menu item on a guest’s birthday and automatically unlocks when a guest spends at least $500 in a one-year (12-month) timeframe. Supercharged users receive the benefits of both previous levels plus one free smoothie supplement per week for spending $1000 or more in a one-year period. I just downloaded the app and can get a smoothie for Free or $0.49(depends on what else you add to it, taxes etc) a sandwich for free or $2.49! What a deal! 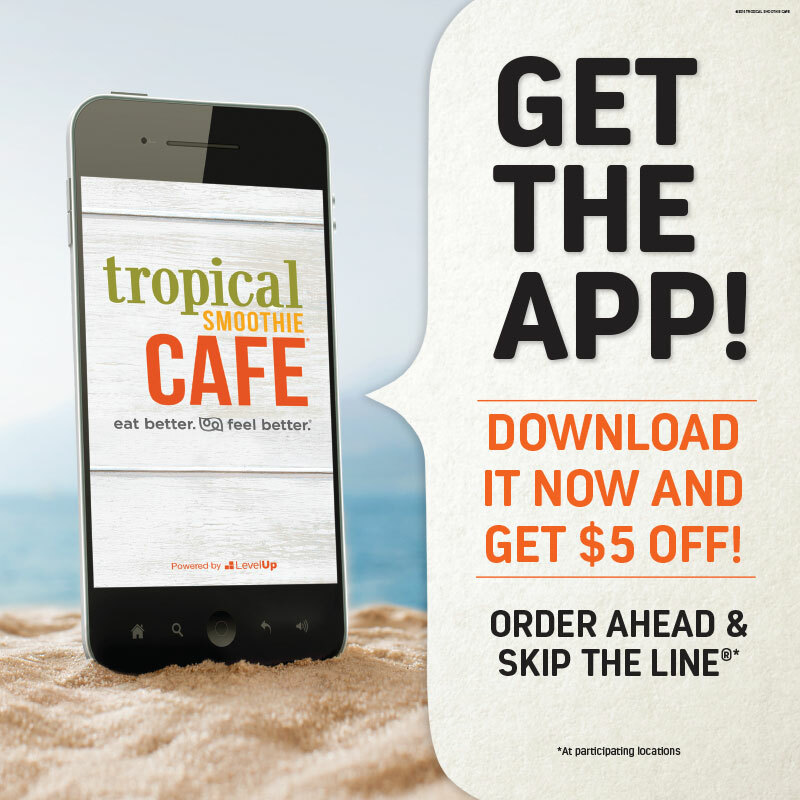 I was asked by Tropical Smoothie Cafe to let you know about this great offer. Labels: Tropical Smoothie Cafe Get $5.00 Off with App!